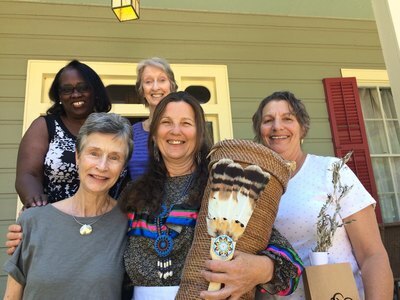 Our Grandmother Group welcomes women aged 50 and above for wise woman teachings from Native American and other indigenous cultures and traditions. Tucked away in a quiet, little historic house in Abita Springs, each month on a Thursday afternoon, closest to the New Moon, a small group of women come together to listen, share, learn and grow. 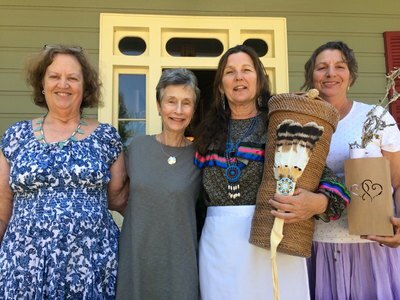 This particular group of women are unique in that they are all grandmothers - women of wisdom - having lived 50-plus years. They call themselves "Grandmothers," but do not necessarily have biological grandchildren. They are concerned for all our children and the legacy we leave them. One of the things that makes this group especially meaningful is that the women leave the group with a profound sense of peace and sisterhood. 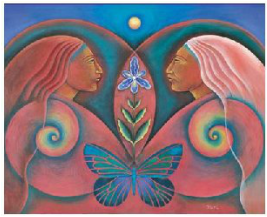 It is a rare opportunity in today's hectic pace of life for women to join together in this way and be able to relax, feel safe & share from a deep place within. Some have been meeting together for many years, and newcomers are welcome. 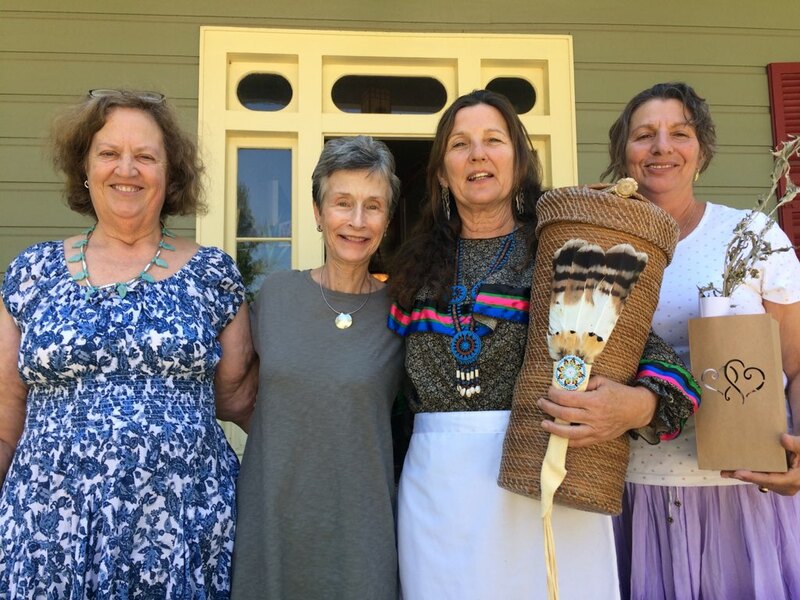 The group is generally led by Angie Howell and basically follows the premise of the Native American Hopi prophecy of "when the grandmothers speak, the Earth will heal." 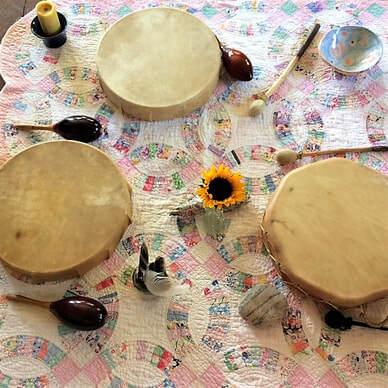 Some of what takes place is a smudging with sage, an opening exercise, readings, passing of a talking bowl, drumming, singing and discovering from one another what we as elder women in this community can experience to improve all life on this sacred Mother Earth! 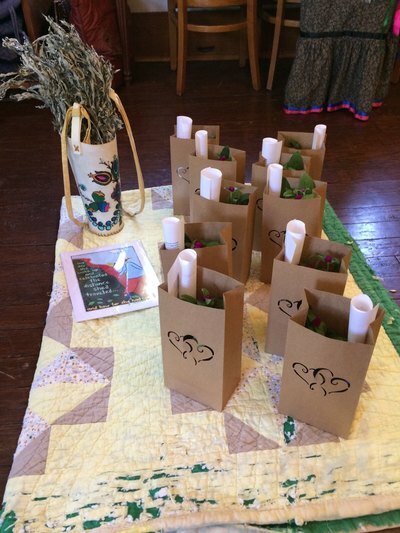 There is no cost for this group, but donations to benefit the Women’s Center for Healing & Transformation are gratefully accepted. ﻿Registration is not required, but is appreciated due to the careful planning and preparation by the facilitators. You may also register by phone, (985) 892-8111 or by email, info@womenscenterforhealing.org. Meetings are held in the Great﻿ Room. The Grandmother Group uses the following as reference books. Feel free to order any of the books if you like, or just come along and learn with us.